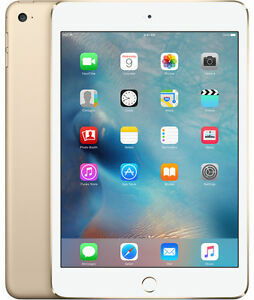 The Apple iPad mini 4 is a useful device driven by a robust 1.5 GHz processor and running on iOS platform. The tablet is equipped with 16 GB memory storage. It also features a convenient 7.9-inch display that provides clear visuals. This Apple tablet supports Wi-Fi connectivity and lets its users wirelessly surf the Web, check e-mails, or stream videos. Furthermore, the Apple device has a built-in camera. Its weight is 0.67 lbs. The product is available in gold. Immediate payment of US $599.98 is required.